The image reveals the castle Borbeck in Essen at the blue hour. This is a moated castle in the Essener element of town Borbeck. Given that the 14th. 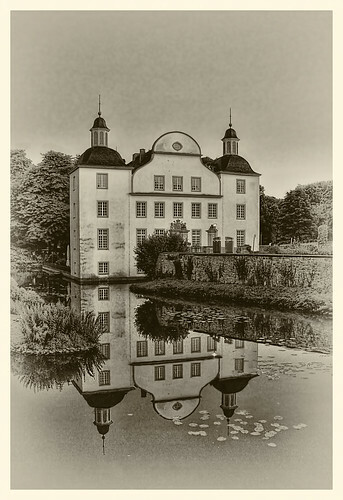 century was the preferential home of the Essener Prince-Abbess, and his present day external figure turn out to be the castle in the 18th century. Given that the 1980s it is used as a location for continuing education offers and cultural activities.